When I trek up to NYC, I always try to try something new...you know, something unFlorida... something that the Sunshine State will never see in my lifetime. From a decent cupcake to last year's braids, it is my way to be a tourist...and a hell of a lot cooler than a Circle Line tour. This year, my time was a little more limited, as were my choices to accomodate the need to get my version of the true New York experience. Since I have been in a fitness state of mind, I really wanted to try to take a good exercise class...I follow Soul Cycle on Twitter and every morning via Kelly Rippa's arms and I thought that might be fun. I really wanted to try a Pure Barre NYC Class so so so bad...even at a $35/class price I REALLY wanted to relive my days as a little ballerina in any way possible. I decide against the fitness route because of my Rockettes experience. Long story longer, I decided on The Drybar, where I read over and over that this was THE one thing to do for your hair this summer. 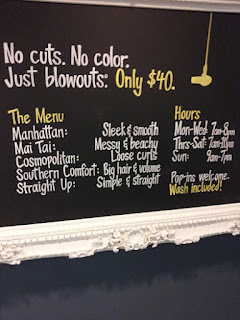 The mantra of The Drybar is No Cut, No Color. Just Blowouts. The day of my appointment, it was POURING rain! Of course it was! I also had an anxious ride into the city. Carrying your heavy luggage through Penn Station makes me so nervous-I always think I am gonna impale someone! So I was a little shaken when I arrived, to say the least. When you walk in the hotel and go downstairs this amazing nirvana awaits you. The girl behind the counter greeted me warmly and asked me what I would like to drink!! Yes, it was 10am but I clearly needed some bubbles to calm. I was a little nervous because although I don't have rain hair and can gracefully wash and go, (don't hate, its only about one of three things that I really have in my favor) I have never been one to set or curl my hair so that it would keep. But, then again I never had an official blowout. 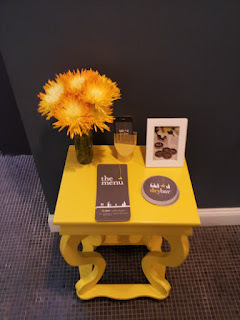 At The Drybar, they left no stone unturned. The place was bright and beautiful and so pretty. I knew right away, I had made a right choice. I was taken back to the shampoo area and received a nice shampoo and a head massage. They finish off the wash with their signature towel bun, I need to know how to do this! At each station is an iphone charging station. Free WiFi and a bonus: Old movies on the flat screen....is this The Darlynn Bar or The Drybar...at this point I wasn't sure. 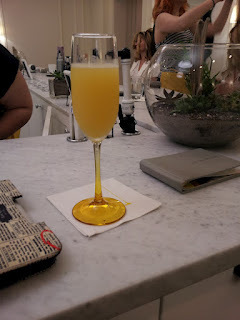 Chosing the Go Big or Go Home blowout AKA as Southern Comfort, was my best bet I thought because I have an issue keeping my hair from falling normally, maybe the extra help would be a benefit. The end result was amazing and I wish to God they had a Drybar in Florida. If you can believe my hair lasted for three days without washing. The one thing I am attracted to the most besides my awesome hair is the way they brand themselves. It is so beautiful! I know, I am so weird! Look how gorgeous their menus and promotional pieces are? If my time at the DryBar wasn't enough, as I was checking out with the lovely receptionist offered me a FREE Drybar umbrelly! Heaven in an Hour. To say the least. 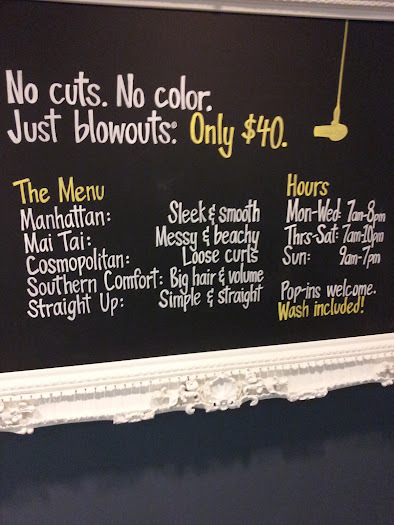 The back story on the Drybar is awesome. It was started by co-founder Ali Webb who took her mobile blowout business to the big time. 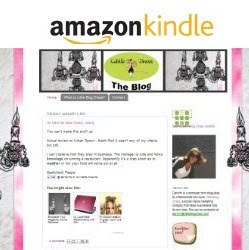 Another women entrepreneur story that will make you smile is here. Find the Drybar on the web, Facebook and Twitter. I visited the NYC location at the Parker Meridien but you can find a location near you here. 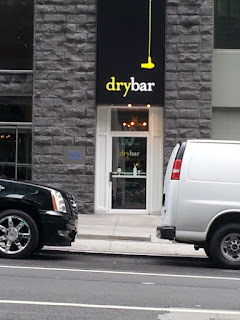 I'm so glad you put up this review - I have been DYING to try DryBar! Now I'm totally making plans, your hair looks super pretty, and your experience sounds awesome!